Home > Google News > Google AdWords > Google AdWords Displaying More Product Shopping Ads? 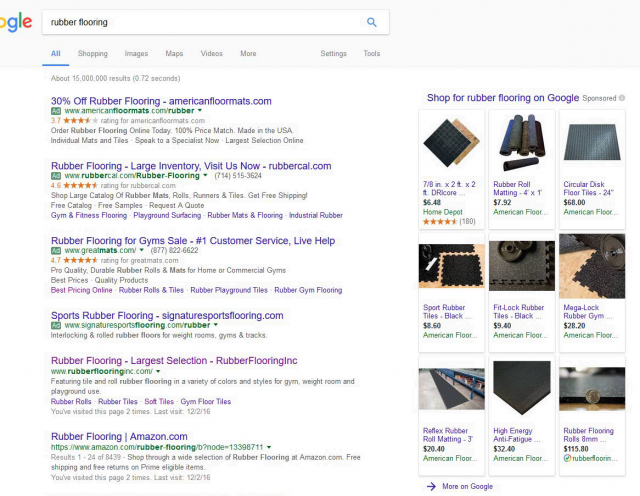 I don't follow the user interface for Google AdWords shopping, product listing ads, too closely but Kurt Leitinger said Google is now showing more product ads in the search results page. He shared a screen shot that almost looks similar to what I see myself. In fact, depending on the window size, it will stake one, two, three or more columns of product listings ads in the search results right hand side bar. Kurt does have more ads and a "more" link under the shopping ads but that seems to be the biggest difference between our screen shots.